An adaptable space with uses as limitless as imagination. Thanks to the generosity of the Limitless campaign’s leadership donors, the Gene E. Phillips Activity Center opened for the 2017-18 school year. 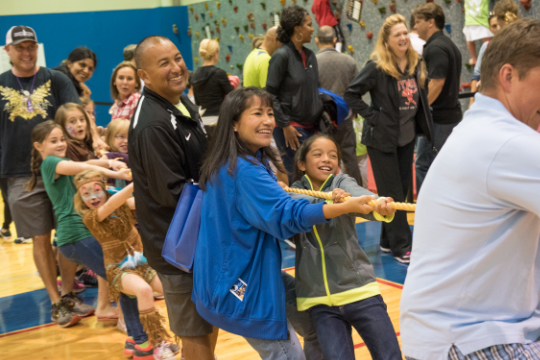 The facility offers 24,000 square feet of versatile space that can accommodate the evolving needs of our School and creates new scheduling flexibility for activities from PreK through 12th grade. Additional space is a pressing need for Parish. The Activity Center extends the School’s capabilities and the opportunities for students to explore and learn. The new facility is named in honor of Mr. Phillips and his family’s longtime support of Parish. 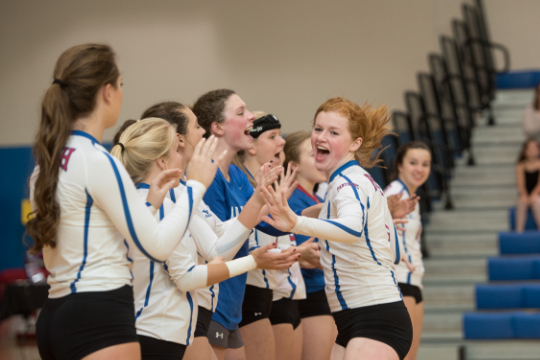 Parish now has more on-campus space for athletic practices and games, alleviating crowding and the need to send activities off campus to third-party facilities. 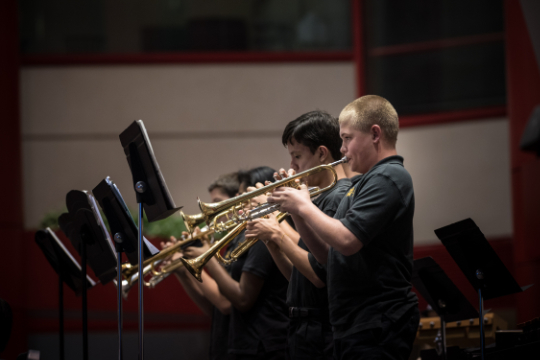 Until the Performance & Community Center is built, the Phillips Activity Center provides a temporary home for dance, band and other arts activities. 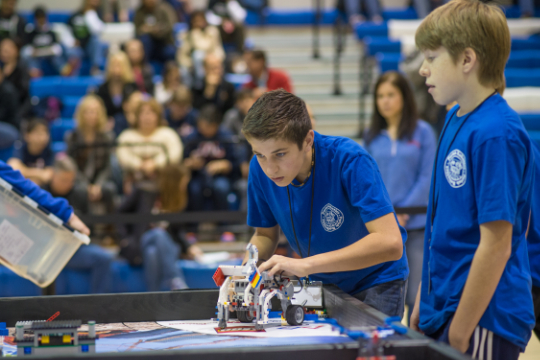 Parish now has a spacious venue for hosting competitions and tournaments, from robotics, LEGO and debate to basketball and volleyball. 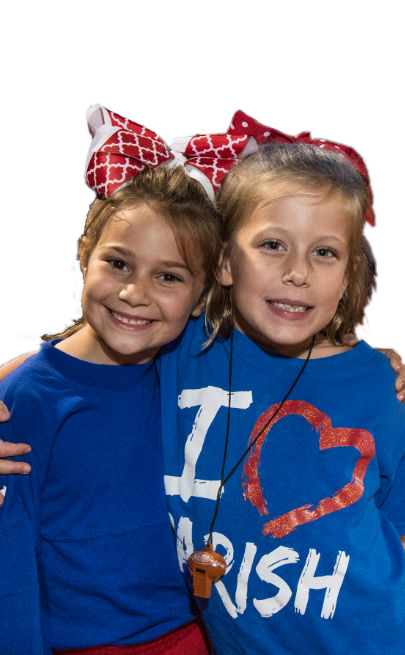 Students and their families will gather at the Phillips Activity Center for pep rallies, school dances, Legacy events, ParishBridge and more. 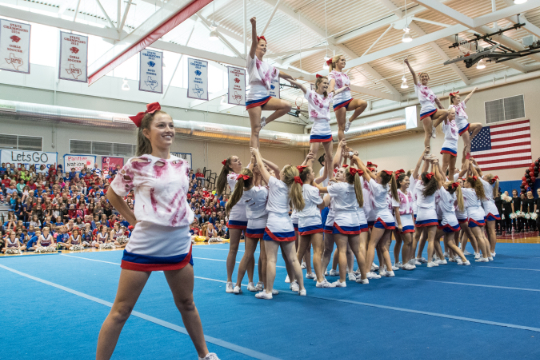 In inclement weather, the Phillips Activity Center provides rainy-day space so events like Spooky Saturday or cheerleading practices can go forward. 24,000 Square Feet of Adaptable Space that can accommodate today’s and tomorrow’s needs. Retractable Bleachers that can seat up to 450 people or be moved for large gatherings of up to 1,200. Professional-Grade Technical Equipment to optimize sound and lighting for events, competitions and performances. A Durable Composite Floor that handles heavy usage beyond athletics, such as school dances, fairs and performances. The flexible Terri & Brad Phillips Family Courts to accommodate multiple basketball or volleyball practices, as well provide a full-length court for competition. The Class of 2017 Lobby to welcome guests and host pre-event receptions.